Get ready for adventure through an unknown land full of secrets and mysticism in Gnomes Garden 4: New Home. Gnomes Garden 4 finds the gnomes with their castle intact, but set in a wasteland where nothing grows! How will they survive? The secret lies in the Green Recipe, held by the Elven Queen in a far away land. You will need to use cunning and strategy in order to find the Crystal of Eternal Light to barter for the Recipe. - Find the Crystal of Eternal Light, coveted by the Queen. 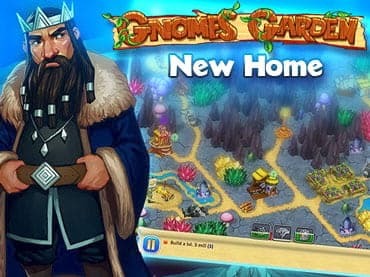 If you have questions about Gnomes Garden 4: New Home game, please contact us using this form.